By the time you read this, Mitt Romney's selection of Rep. Paul Ryan of Wisconsin as his running mate will have been analyzed ad nauseum from every angle, and the news cycle will be moving on en route to some new obsession. That's fine -- or rather, it's not fine, but it's inevitable. 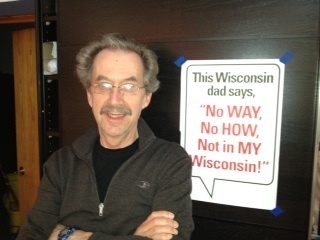 My particular concern, now and through Election Day and beyond, is what Romney's choice says about Wisconsin. Pardon me if that sounds parochial, but it's significant to me for two reasons. The first is that Wisconsin is my home state. It's where I grew up; I've sentimentalized it my whole life; I want to think well of it. The flip side to that personal worry is a public one: Wisconsin is America, writ medium-sized. It has farms, of course, and beer, and quaint mitteleuropaische vowels and customs, and impossibly Rockwellian small towns like my hometown, Oconomowoc, at the exurban western edge of reliably Republican Waukesha County. Wisconsin also has one of the poorest and most racially polarized post-industrial cities in the country. It has had one of the best systems of public education, as well as one of the best and most robust state university systems; I'm grateful and proud to be a product of both. It has, or at least remembers, the Progressive legacy of "Fighting Bob" La Follette, whose national importance I find myself having to explain to non-Wisconsinites with irksome frequency. The occupation of the state capitol building in Madison by tens of thousands of public employees and other citizens, in sub-freezing weather, in February and March 2011, showed that the embers of the La Follette tradition are still there to be stoked. At the same time -- and those of us who cherish La Follettism are not at liberty to avert our eyes from this -- its political history has another, discordant thread. This is the ungenerous, paranoid, right-wing tradition personified most infamously in the 1950s by Senator Joseph McCarthy, Republican of Wisconsin. Like the hate-mongering of the radio preacher Father Charles Coughlin before it and the Tea Party long after, McCarthyism was an eruption from the dark, fetid bowels of the Middle American character. I say this as very much a Middle American myself. Father Coughlin was from Michigan and Michele Bachmann is from Minnesota, but Joe McCarthy was from Wisconsin. And -- not to put too fine a point on the point I'm trying to make -- so is Paul Ryan. I'm currently reading It Started in Wisconsin (ed. Mari Jo Buhle and Paul Buhle, Verso, 2011), a collection of essays about the Madison capitol occupation. The book is stirring and encouraging, as well as valuable as documentation, but I fear it might already be dated. It was published before the hard-fought but apparently futile June 6, 2012 recall election that ended not with a bang but a whimper, with right-wing, Koch brothers-sponsored Governor Scott Walker surviving handily, the first American state governor ever to survive a recall vote. What should we make of that lame result? Former U.S. Senator Russell Feingold, a progressive hero of national stature, declined to run against Walker. The Democrat who did run, Milwaukee mayor Tom Barrett, is mediocre and has now lost three statewide races. Even more ominously, the President of the United States, who is also the national leader of the Democratic Party, notoriously sent out a grand total of one tweet in support of Barrett. At least Bill Clinton showed up in Wisconsin. No wonder Clinton is widely rumored to be exasperated with Obama; Clinton believes in fighting for his team, and in fighting to win. I want to believe in the Wisconsin depicted by the contributors to It Started in Wisconsin, but I'm nagged by a feeling that it's informed by an unhelpful vintage left-wing attitude that equates being right with being entitled and even likely to prevail. The fact is that the Walker recall failed, and the right wing is still in the ascendant. Now what? What do you do after the battle has been lost? Self-respect and the human need for hope dictate that you fight another battle, and then another. That's why, metaphorically, there are 162 games in a baseball season: You play every game to win. But sometimes it's necessary to bring in new players, or even to fire the manager. Which brings up the crucial matter of leadership. The Republicans groom and showcase it -- that's what the selection of Ryan, one of the party's leading ideologues nationally, is about. Where is the leadership on the other side? It's not Obama, Harry Reid, or Nancy Pelosi. Nor is it Russell Feingold, who slouched back into the dugout from the on-deck circle. The Republicans have called up a fearsome young slugger to pinch-hit in the eighth inning. Now what? Is it time for a pitching change? The New York Times reported, with typical craven blandness, that Romney's choice of Ryan presents voters with a "clear choice." The Washington Post said it "tees up a fierce debate" over "the size of government." Some of the analyses that I've glanced at suggest that it hands Obama a golden opportunity. My fear is that the debate will be fierce on one side only, and that Romney's selection of Ryan signals that that side expects to win. If, as his track record gives us cause to worry, Obama is not up to a fierce debate, others of us had better be. In April in Madison I met John Riggs, whose photo book, Inside, at Night: Origins of an Uprising, beautifully and movingly documents the capitol occupation, and whose 23-year-old son Arthur Kohl-Riggs showed leadership by running against Walker in the May 8 primary as a self-styled "Lincoln-La Follette Republican." Art didn't win, but he had the right idea. John Riggs told me that he had been frightened into political timidity by the deadly 1970 bombing of the UW-Madison physics building, Sterling Hall, by anti-Vietnam War activists. Now, he told me, "for the first time in my adult lifetime I experienced a possible source of hope, in my son and his comrades. That's why I like the logic of these kids; they're not going to settle for a Democrat. They didn't put in all that energy just to get Tom Barrett to replace Scott Walker. They have something a lot bigger in mind." The Washington Post's reference to "the size of government" is a euphemism for what the "fierce debate" is really about: the soul of America. Like so many things in a history dating back through McCarthy and La Follette to the fierce debates during and after the Civil War, it starts -- or at least comes to a head first or most vividly -- in Wisconsin. Paul Ryan, a Wisconsinite, is a leading spokesman for one side in our current fierce debate. Who will speak and fight for the other side? One thing I know is that those of us who failed to unseat Walker now have a particular opportunity and obligation to redeem ourselves, by ensuring that Romney does not win Wisconsin in November. Like Wisconsin, America at large is bitterly at odds with itself. A starting point for recovering our national community is to acknowledge that we all, whichever side we're on, face the same question: What kind of country do we want to live in? ETHAN CASEY's next book, Home Free: An American Road Trip, will be published next year and is available for pre-purchase. He is the author of Alive and Well in Pakistan: A Human Journey in a Dangerous Time (2004), Overtaken By Events: A Pakistan Road Trip (2010), and Bearing the Bruise: A Life Graced by Haiti (2012). He is also co-author, with Michael Betzold, of Queen of Diamonds: The Tiger Stadium Story (1992). Web: www.ethancasey.com or www.facebook.com/ethancaseyfans Join his email list here.